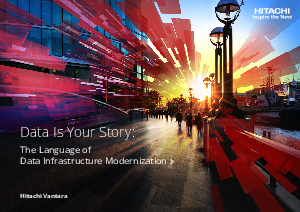 In this book, we are going to look at the key trends driving the modernization of data infrastructure. We’ll see how organizations are adapting and flourishing in a data-driven world. For some time, headlines have been around the internet of Things (IoT), big data and data analytics. While these developments are important, the reality is that you cannot take full advantage of them without modernization. We’re going to look at these trends and priorities in detail, then look at the three key drivers of modernization: governance, mobilization and analytics. We’ll also consider the technologies that make up modern data infrastructure including artificial intelligence (AI), flash storage, converged and hyperconverged platforms and software-defined infrastructures. By making sense of data, we make sense of the world. With more data than ever before, we have the tools to turn all that information into intelligent innovation and change the way the world works.